Download info: Some tracks are longer than the maximum length for single track downloads. Of course the complete album download contains ALL tracks! 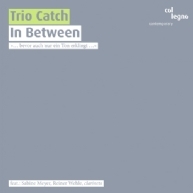 Trio Catch are at home in musical fringe areas, somewhere between tones, sounds and noises. In his liner notes Rainer Peters describes their music as “expedition to the edges;” and this is exactly where the three ladies intend to take us, to reveal to us to the manifold facets of transgressions and abysses, the dangers and the beauty inherent in them. The landscape of sound we perceive is full of surprises, shaped by delight in subtle details and modified rules. 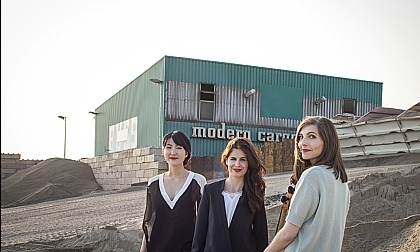 With their debut album Trio Catch have succeeded in creating a reference recording for the trio instrumentation clarinet, violoncello and piano, taking their listeners with them into a fascinating world of strange encounters. The oeuvre for flute and clarinet: the Ebony-Duo tracks down Scelsi in his original compositions and its own transcriptions. The Lost Cloud Qurartet conducted by Salvatore Sciarrino, the composer himself.